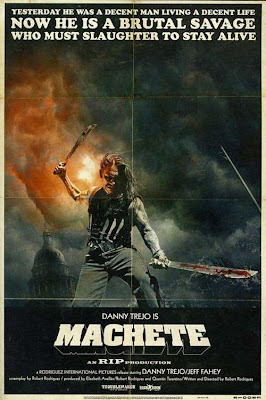 DANNY TREJO is returning (obviously) as "Machete", the madman bent on revenge. MICHELLE RODRIGUEZ ("Lost", Fast & Furious, Avatar) is said to be playing "Luz". JONAH HILL, the comedian who has starred in such films as Superbad and the forthcoming Adam Sandler comedy Funny People, will play "Julio". Lastly, a legend of our time, ROBERT DE NIRO, will take on the role of "Senator McLaughlin".